Juunen Saki mo Kimi ni Koishite Review: The flip side of “Marry Him if you dare” but actually mature and watchable! It was clear to me what the writer did! After seeing “Juunen Saki mo Kimi ni”, the writer copied the main concept and did a gender flip in the characters and totally changed the main point of the original materials. So, you cannot say that it is a total rip-off…right? What was weird with “Marry Him if you dare”, except for the fact that it was unwatchable, was that the changes do reflect the perceptions about relationships and females on the part of the writers. Do they actual respect females? I don't think so! The plot of the “Juunen Saki mo Kimi ni” is centered around 2 characters…more accurately 2 versions of 2 characters, the younger more innocent versions and the 10 years older married versions. However, the focus of the series is conversation between younger more innocent version of the wife, Onozawa Rika, and 10 years older version of the husband, Maruyama Hiroshi. 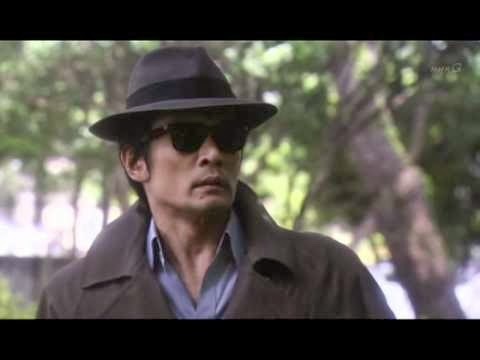 The husband, Maruyama Hiroshi who is a scientist and thus somewhat explaining how he could time travel comes back 10 years, is here to do one thing. It is to prevent his wife from marrying him. It is not to prevent himself from marrying her. The focus is on the wife. From the title, “Juunen Saki mo Kimi ni”, you get where the series is going for. Roughly translated, the title becomes “I'll Still Love You In 10 Years”. “Juunen Saki mo Kimi ni” is a story about a married couple, who loved each other in the beginning, ending up at the brink of implosion because of just happens in life. It is not a dramatic accident or affair that caused the relationship to deteriorate. It is that life brings arguments, dissatisfaction, resentment which, without much care, can easily destroy a relationship. But it is always easier to fix thing in hindsight. It is never easy to see what is going on while it is going on. “Juunen Saki mo Kimi ni” is a story about a husband realizing that his wife, the woman he loved… or still loves, ruined her life because of him and travelling in time to change the past. It is not about changing his past but changing her past. It is about making her life better and not his! In this aspect, “Marry Him if you dare” is very selfish! 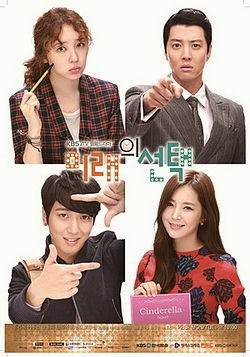 That K-drama is more about changing one’s own life. It is more about self-centered characters always blaming thing on others and coming back to do a selfish thing. While I never believe the two version of the “Marry Him if you dare” are the same people, they do share this characteristic. They are shellfish people! They want to actively change other people’s lives to better their own. The husband in “Juunen Saki mo Kimi ni” is rather different. He is willing for his life to change although he is not sure whether it would be for the better or worse. The only thing he came to do by coming to the past is to convince the younger version of his wife to not date his younger self. It is not to force a change while the person does not know about it. Whether to change fate is the younger version of his wife’s choice. He is only here to explain and convince! Thus, agency is with his wife which shows respect to his wife and the relationship/life they had. At its core, “Juunen Saki mo Kimi ni” is a conversation between two characters. You have the husband explaining and suggesting while the wife hears and thinks while continuing her relationship with the younger version of the husband. It is a mature interaction that cannot be seen in K-dramas in which all characters are immature drama queens in their own right whether they are protagonists or antagonists. In that vein, it reminded me of the best movie of summer 2013… “Before Midnight” of the Before series. You see a mature relationship in all its real pains and happiness. It is the same with “Juunen Saki mo Kimi ni” but with only one side actually in that matured and damaged relationship. What do you do when confronted with before and after picture but the after-picture does not really look like the before picture? While this conversation it the best part of the series, it is also the cause of the problems with the series. The only thing that really works is the conversation between the couple separated by time and experience. You just know that the writer had this conversation as a core concept and tried to build a narrative structure around it and failed. In that way, the story seems more suited to the stage. None of the surrounding characters and events really matter. You have the young wife’s work friends and work life which do not actually matter to the plot although I get why they are there story structure wise unlike “Marry Him if you dare” in which I do not know what is motivating each line of dialog or character actions. They provide story structure and character motivation for the young wife to talk about the situation regarding the time travelling husband with the people around her. However, none of them are interesting other than the function of being a sounding board for the wife’s thoughts about the time travelling husband. So, what about the core relationship itself? 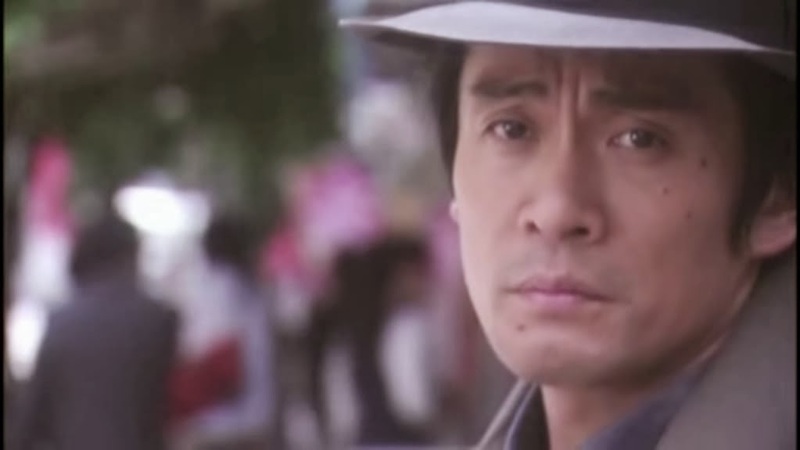 Uchino Masaaki who plays Maruyama Hiroshi, the husband, brings his A game to the series. Ueto Aya, the wife, brings subtlety to her role which is not an easy role. I don’t think she nails the character totally but, at least, it is a B+ performance and generally the two has chemistry. This interesting thing is that it is not a romantic chemistry. While, story wise, you have a romance triangle between the 2 versions of 2 characters, it is not what is on the screen. Rather, there is a friendship developing on screen between the younger wife and the older time travelling husband. 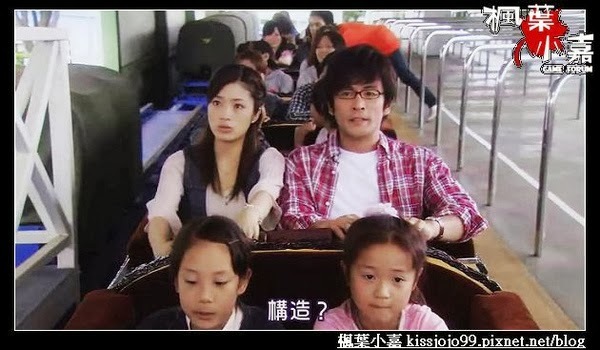 For the younger wife, Onozawa Rika, she is falling in love with the younger version of the time traveler in front of her and not the time traveler. The time traveler is like the older brother to the man she is falling in love with and she sees a lot of the young man she is falling in love with in the older man. However, there is never a confusion between the two. It is the same with the time traveler, Maruyama Hiroshi. This setting makes it possible to approach their future relationship detached from the baggage of life and have a discussion as friends and not lovers. Thus, there is a weird combination of a friendship and the shadow of a romance developing on screen through the conversions the two characters displaced by time and life. In a way, it is better than coming back and becoming friends with your younger self which is more common in Time travel stories. As the old character, you know that dumb younger version of yourself. The insight you could get is limited to either remembering your youth was better or acknowledging that the present is better. With this miss-matched setup, you get something else. You can actually be friends with someone you were never friends before and never really can, your wife, before life got in the way. While the chemistry between the miss-matched time displaced friends is great anchored by Uchino Masaaki’s performance of the husband, this none-romantic chemistry spills over to the scenes between the younger versions. There is no romantic chemistry between them which you need in order to understand the wife’s decisions which is a shame! So, what happened with the couple in the future? Well, it's not a K-drama! So, your guess is as good as any. Go watch the series! Overall, “Juunen Saki mo Kimi ni” is a very interesting character piece surrounding a conversation between an oddly time displaced married coupled that sadly is not fully developed. Only the conversation works leaving the other stuff as just functional materials. It could have easily been a two person stage play. And I actually would want to see that play. However, the script and acting are far better than “Marry Him if you dare”. 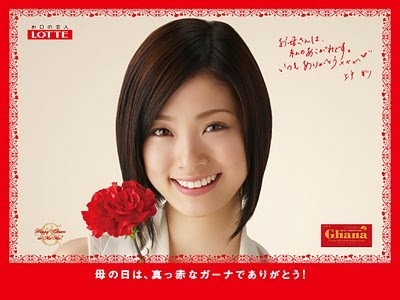 I personally think that it is much better that no one really knows that it ripped off “Juunen Saki mo Kimi ni”. It is only 6 episodes which you can flip through. If you like interesting character work, it is an interesting view.